A Certified Peer Support Specialist is a person with significant lived experience that the individual uses to help others find a path to recovering and healing. Certified Peer Specialists support individuals with struggles pertaining to mental illness, anxiety, developmental disabilities, psychological trauma or substance use. Tasks performed by peer support specialists may include assisting their peers in determining their goals for recovery, learning and practicing new skills, helping them monitor their progress and supporting them in their treatment. 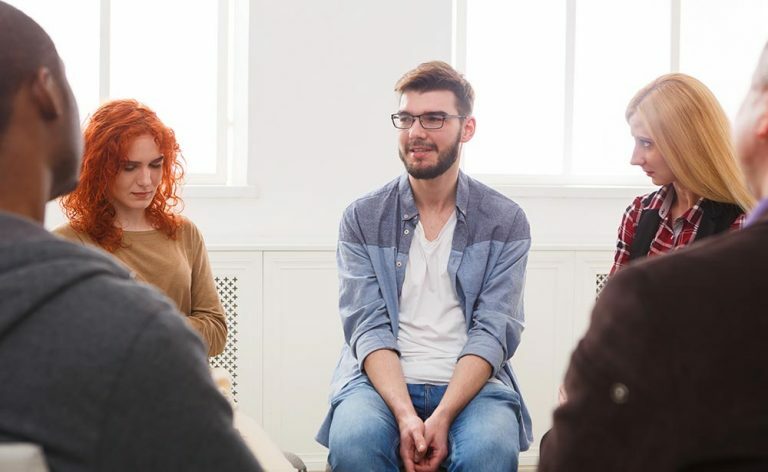 Tasks also include modeling effective coping techniques and self-help strategies based on their own recovery experience and supporting them in advocating for themselves to secure effective services. If you, a family member or someone you know is interested in becoming a Certified Peer Specialist, Monarch now offers Peer Support Specialist Certification Training. The content of Monarch’s Peer Support Specialist Training is a curriculum developed by Cardinal Innovations Healthcare and has been approved by the Behavioral Healthcare Resource Program (BHRP) and the North Carolina Division of Mental Health Developmental Disabilities and Substance Abuse Services (NC DMH/DD/SAS). Peer Support Specialist Training is a 40-hour training. Participants must be present and participate for all scheduled 40 hours to be considered for certification. Participants are required to participate in the trainings through lectures, group activities, role-playing and take-home activities. You will also be required to share your personal recovery story. Participants need to be present for the entire 40-hour training to be awarded a certificate of completion. To be able to apply for your state certification, the trainee must pass the exam at the end of the training. There will be one additional opportunity, within a designated period, to re-take the exam if participants do not pass the first time. Completion of this training does not guarantee that the participant will be hired as a Peer Support Specialist. The participant will be responsible to apply and seek employment with applicable providers within their communities. Training topics include Role of Peer Support Specialist, Substance Abuse and Co-Occurring Disorders, Recovery Tools, Cultural Diversity, Workplace Skills and Peer Support Code of Ethics. Maximum class size is 11 participants. Applications will not be processed without completed references.